"Attack Iran, Bomb Iran" is the monotonously uttered mantra of three out of the four Republican candidates whose foreign policy seems to involve one country alone. Concerned about an unborn fetus, the sanctity of life, and the usage of contraception -- as if all other problems have been resolved -- they and their constituents neglect to mention that if Iran's nuclear facilities are attacked, what kind of environmental impact it will have on Iranians. Would their children breathe radioactive air? Are they less precious than American children? If Netanyahu decides to strike, Iranians and Americans (and Israelis) will not only be dragged into an unwanted and bloody war but Iranians may have to protect themselves from clouds of nuclear radioactive material with grave short-term, not to mention long-term effects. But as Israel's Defense Minister Ehud Barak put it last November, it could inflict fewer than 500 fatalities "if everyone stays in their homes." A year ago, Netanyahu received a standing ovation at the U.S. House of Representatives, but got the cold shoulder from Obama. Today he will be making his usual stop at AIPAC and tomorrow he will pay a visit to the White House. He will surely repeat the same words: Sanctions have not worked, let's go get them. Behind the facade, Netanyahu is probably hoping that not Obama but a Republican administration will give him the carte blanche he needs. His friends in the Republican Party are rolling over themselves to please him, among them Senator Lindsey Graham of South Carolina who said, "All options must be on the table when it comes to Iran -- except for one, and that is containment." He knows that Obama still refuses to go along with the idea even if he says differently in public. 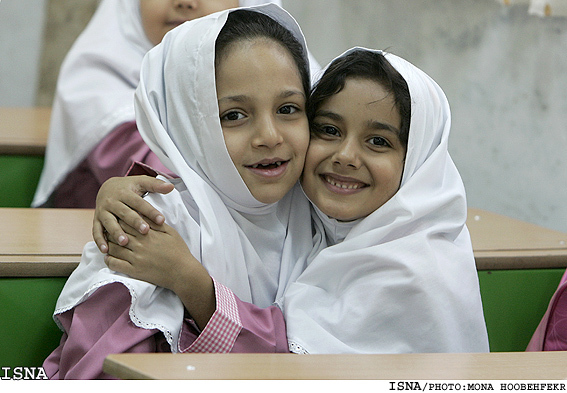 While this dirty business is being played out in Washington, Tehran, and Jerusalem, rarely anyone mentions the terrible outcome for the Iranian nation -- the possibility of Iranian children breathing air from the nuclear sites, a program their leaders are adamant to pursue and finish to the end, even if it means bombs will be thrown on their heads. Presently, three sites are running or on the verge as announced by the Islamic Republic and the IAEA -- Natanz, Bushehr and Karaj. Jim Walsh, an expert in international security and a Research Associate at Security Studies Program at MIT who has visited Iran on a number of occasions, says: "All bombing has environmental effects. Fires, chemicals, etc. have an impact like any industrial accident. But they will be limited by geography." In his views, the main consequence will be political, and chief among them is that "an attack will lead Iran to make the decision they have not yet made -- to acquire nuclear weapons." No one -- not even the experts -- can say with certainty what the outcome will be. "I checked and one of the plants started up in September. They have tested it up to 40% capacity, but it is not running at full capacity and is not attached to the grid. If they run into yet another problem -- as they have for years -- and shut it down, then the effects will be minimal. If the reactor is up and running, there will be radiological consequences, though its isolated location will minimize the impact," Walsh explains. Considering that Natanz is close to Isfahan -- the city known as the Florence of the Middle East -- the site is not isolated. With a population of more than four million people, Isfahan province is the second most populous metropolitan area in Iran after Tehran. Quite aside from the fact that an attack on a sovereign nation is against international law, how can experts even claim that the impact will be minimal? Most rational people including Iranians would hope for a nuclear free world, especially considering that our globe is already and irreversibly damaged by its inhabitants. We know what kind of a disaster we will all have to deal with: hell will break loose if Iran's reactors are attacked. At the same time, can the government of Iran really claim that Iran does not have enough gas and oil -- if used properly and for the benefit of its nation -- that they need to experiment with a risky nuclear program? Is it beneficial to Iran's economy or geopolitical position to put the country in danger for the pursuit of a "God-given right?" In February, coinciding with the anniversary of the revolution, the daily Vatanemrooz dedicated a whole page to the greatness of Iran's nuclear program, with half a page in bold: We Came Nuclear! At the bottom of the page, we read the following, "The reason for Islamic uprisings today is that the West is confronting Iran's nuclear program." Regardless of the irrationality on all fronts, it is time to deeply reflect on what kind of human tragedy we will face if a strike takes place, not just politically, but also environmentally. The question is if Iran gives up its nuclear program, why shouldn't Israel, India and Pakistan give up their bombs? Why is one more or less dangerous than other? Considering that our earth is damaged by our recklessness -- the best we can offer our children is a nuclear-free world.